On the eve of the first day of school for public school students, four former SMI scholars were at Bombo Radyo Koronadal to talk about their own experiences going to school, their struggles and successes. Together with over 28 million learners across the country, Jovy, Pinky, Estefhanie, and Niño are also going back to school – as professional teachers of the Department of Education. Jovy Lane Sebua is Teacher I at Lampitak National High School in Tampakan, South Cotabato. She holds a BS Education degree major in Mathematics from Adventist College of Technology through a scholarship managed by the Pula Bato Tribal Foundation and financed by SMI. “From hopeless to success”, exclaimed Jovy. “That is the story of my life. I never thought I could even go to college." "My parents are poor and we don’t own any land. In fact, I was not able to go to college immediately after graduating from high school. I am very much indebted and grateful to SMI as I was able to finish college and turned my life to success as a professional”, Jovy narrated. Estefhanie Polistico and Niño Cabinum are both recipients of SMI (Samahan ng Matatalinong Indibidwal) - Scholarship Program, SMI’s directly administered scholarship program for the top 10 high school graduates of the host municipalities. Both earned their BS Education degrees from the University of Southern Mindanao. Estefhanie is currently MAPEH teacher and designated school clerk at Palo 19 National High School. Niño, on the other hand, is teaching Mathematics at the Tampakan National High School after a brief stint in St. Alexius College in Koronadal City. “Our success is also a manifestation of how SMI practices responsible mining”, recounted Niño. “By focusing its community development program in the education of the children and young adults in the host municipalities, SMI has become the greatest instrument for us to have a better lot in life”. Pinky Simbag is also a Tribal Foundation scholar. She graduated from the Notre Dame of Marbel University with a degree in Education. Pinky is an English teacher at Palo 19 National High School, also in the municipality of Tampakan. “I can definitely say that my success as a professional teacher is clear proof of SMI’s commitment to responsible mining. It shows that SMI recognizes its social responsibility not only to the people in the host communities but also to the environment,” Pinky said. 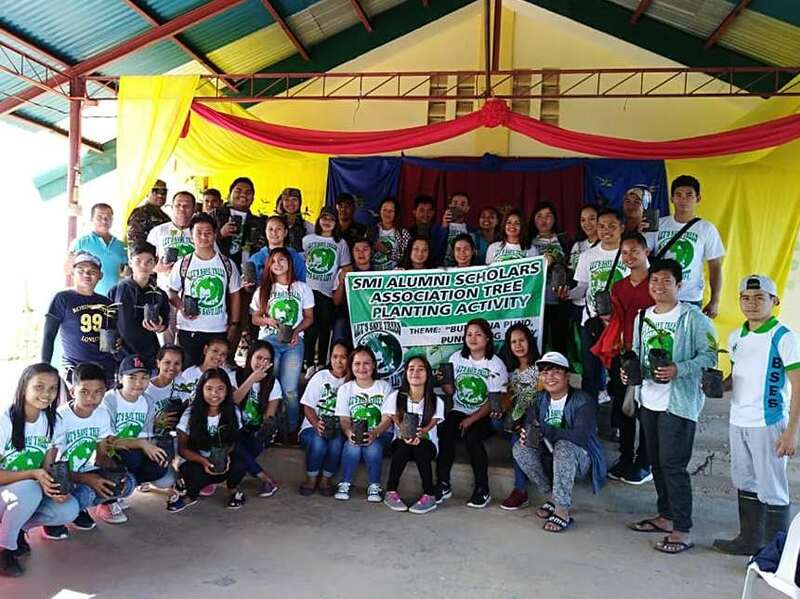 Since 1997, SMI has invested over P150 million to improve access to quality education for students in the municipalities of Tampakan, Columbio (in Sultan Kudarat), Malungon (in Sarangani), and Kiblawan (in Davao del Sur). 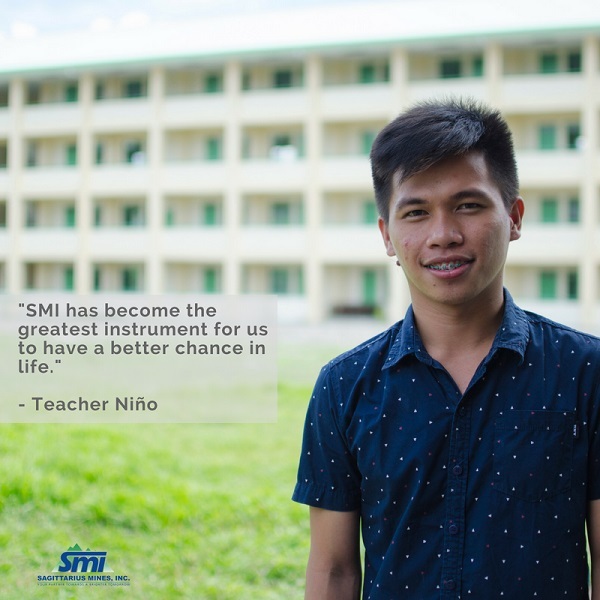 Aside from college scholarships, SMI has also provided educational support to tens of thousands of pre-school, K-12, and technical-vocational students in those areas. Back in 2012, SMI scholars Christie Lou Carillo and Cristine Joy Tediong, both graduates of Notre Dame of Marbel University, topped the licensure examination for teachers (LET) for elementary level. Carillo was a top placer (#1) with Tediong landing at the sixth spot. “We have to support SMI so that it can further help more communities. SMI has proven to us that it is a responsible company. All we have to do is to trust SMI and give the Tampakan Project a chance to operate,” Jovy said. As for Pinky, she believes that by supporting the Tampakan Project, her dream for a safe, competitive, and progressive community will soon become a reality.